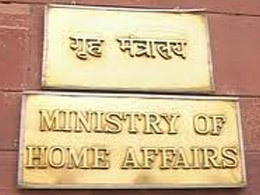 The Ministry of Home Affairs has issued an advisory to the States and Union Territories, mentioning that failure on the part of Police Officers to register an FIR on receipt of information about the cognizable offence will invite prosecution. The officer can be prosecuted for offence under section 166A of the Indian Penal Code or departmental action or both. Lalitha Kumari referred the question to a larger bench due to the conflicting views expressed by co-equal benches. Rajinder Singh Katoch, P. Sirajuddin, Bhagwant Kishore Joshi and Sevi [1981 (Suppl.) SCC 43] has taken contrary view and held that before registering the FIR under Section 154 of the Code of Criminal Procedure, it is open to the SHO to hold a preliminary enquiry to ascertain whether there is a prima facie case of commission of cognizable offence. The advisory also says that police services should be sensitized to respond to complaints with alacrity irrespective of whether it is from a man or a woman. The advisory is available for download here.